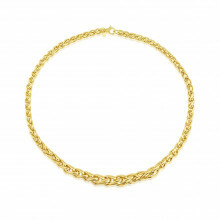 A Yellow Gold Necklace with definite 'Wow' factor! 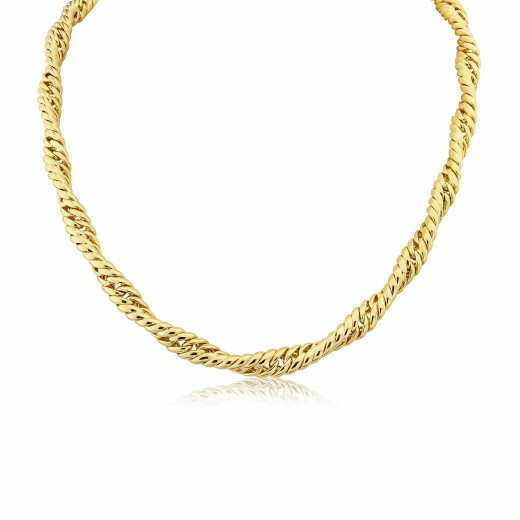 A continuous twisted link design and substantial levered fastening make this a bold and versatile piece. 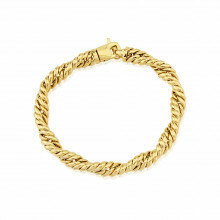 Ramp up workwear or add to your favourite party outfit with the matching Bracelet.